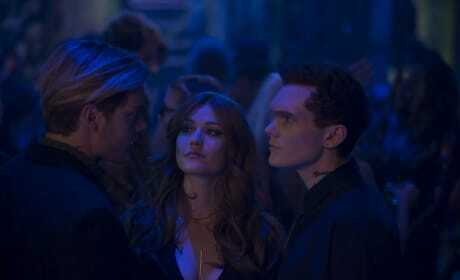 Jace, Clary, and Jonathan team up on a dangerous mission. Clary's loyalty to Jonathan is stronger than ever. 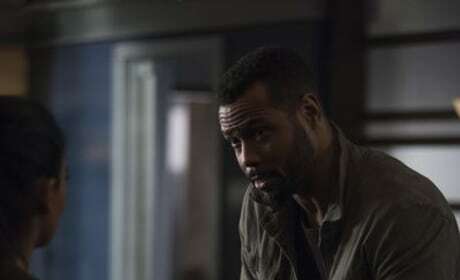 Jonathan makes a discovery that could put Jace in danger. Jonathan doesn't buy into Jace's alliance with them. Isabelle and Simon use the solutions to create pure Heavenly Fire. 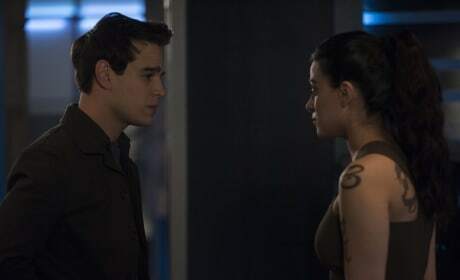 Maia ends up in an argument with Simon and Isabelle. Luke delivers a message from his siter to Simon and Isabelle. 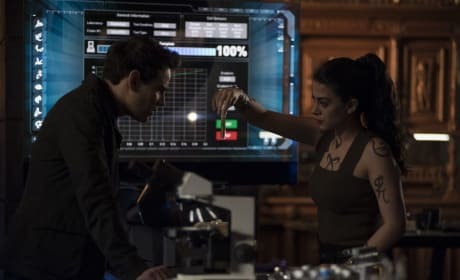 Simon and Isabelle on Shadowhunters Season 3 Episode 19. 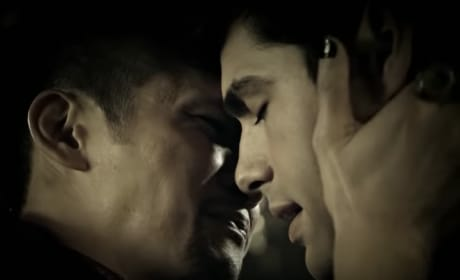 Magnus and Alec in the Shadowhunters Season 3 Episode 18 promo. 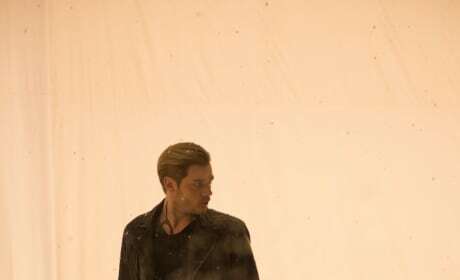 Jace tries to pull Clary back on Shadowhunters Season 3 Episode 18. 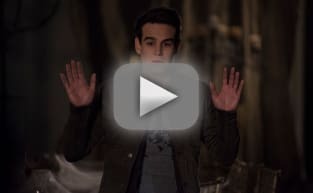 Jonathan is restrained on Shadowhunters Season 3 Episode 18. 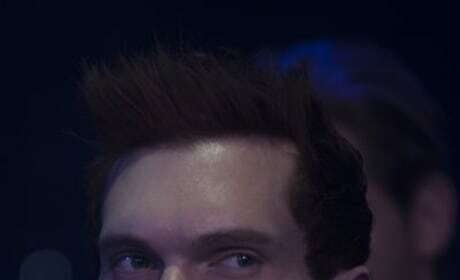 Jonathan is surprised to see Clary on Shadowhunters Season 3 Episode 18. Luke: You know, I’m proud of you, Kiddo. It’s not every day you get an angelic rune. Pick your weapons yet? Luke: That was your father’s dagger. 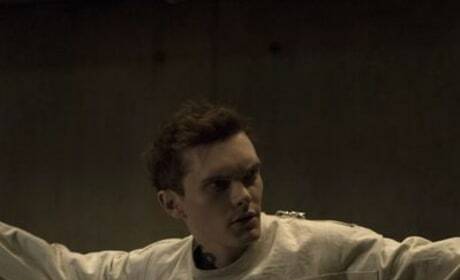 Clary: I didn’t know. I had no idea. Clary: I choose this one too. Luke: You don’t choose the blades. The blades choose you. That one was Jocelyn’s. Luke: They’re both part of you, Kiddo. The light and the dark, whether you like it or not. Permalink: You don’t choose the blades. The blades choose you. 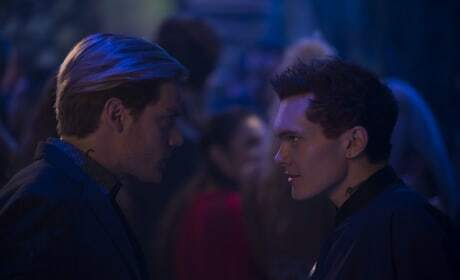 Simon: What are you planning on doing to me? Simon: Come on. You guys really had to tie me up to vines again? Bad memories. Seely Queen: It is this way, so that you don’t reflexively squirm. Meliorn: It is ready, my lady. 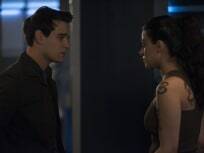 Simon: Why are you going to hurt me? I’ve done everything you’ve asked, I’m a good guy...I sang you a song about nature! Seely Queen: Don’t not fret. The hurt will be over before you know it. Simon: So, this is it? This is the end? This is the end?! Simon: What is that? What are you doing?! Permalink: I sang you a song about nature!